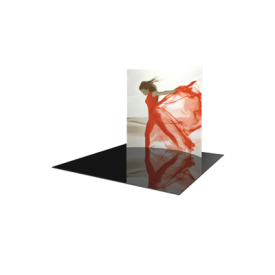 Tabletop displays are the ideal solution when exhibiting in a small space. Tabletop displays are lightweight, highly portable and ideal for adding "WOW" factor to any 4ft, 6ft or 8ft long standard table display. 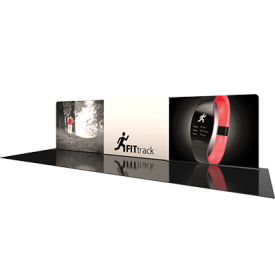 Choose from a variety of popular product lines to find the right solution for you! Simplicity and style make 8ft inline displays an ideal solution for any event, retail, corporate or trade show environment. 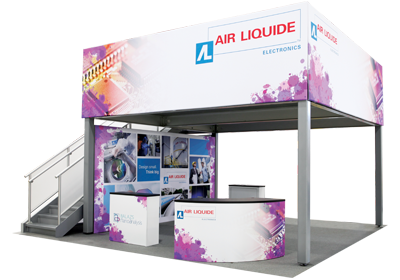 Displays assemble quickly and easily to add a contemporary and eye-catching messaging or product display, and are available in a variety of styles - from collapsible to fabric to modular. Find your perfect 8ft inline display today! 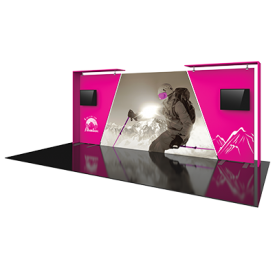 Off-the-shelf 10ft inline displays feature style and eye-catching appearance, with hassle-free setup for stress-free exhibiting. 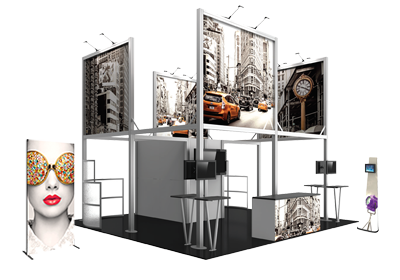 A variety of popular display solutions are available, making it easy to find the contemporary display solution to fit any event, retail, corporate or trade show environment. 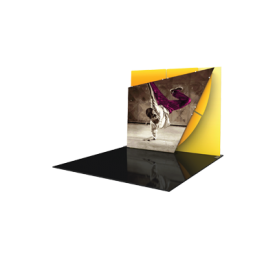 Choose from a number of popular off-the-shelf 20ft inline displays to make your message pop! The ease of setup of fabric, collapsible and modular backwalls make it easy to add the modern messaging and product display you need. 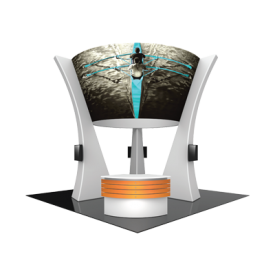 Find your next 20ft inline display solution for events, retail, corporate or trade show environments. 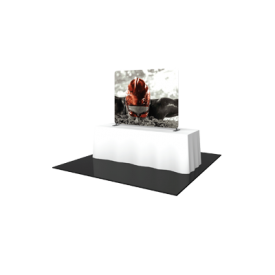 Make an impact on the show floor with an easy-to-assemble, contemporary 30ft inline display. Off-the-shelf fabric displays assemble with little fuss, and are paired with state-of-the-art graphics to create a unique and eye-catching messaging or product display. For a wow-inducing impact on the show floor, turn to an eye-catching, stylish and captivating 20ft x 20ft or 20ft x 30ft Island Exhibit. Island exhibits feature soaring structures to broadcast branding across the show floor, plentiful floor space to welcome visitors in to learn more, and provide space for messaging, products, conference areas and more.